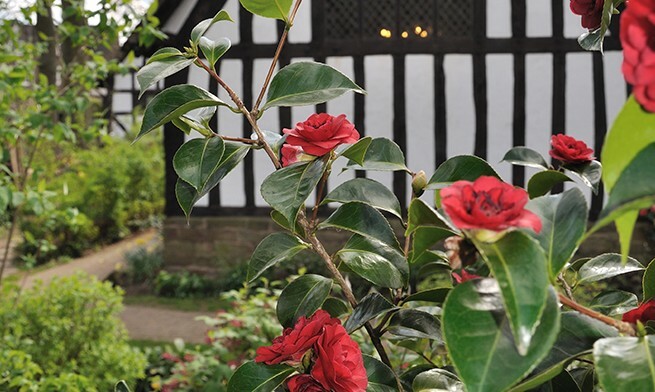 Our meeting on Tuesday 2nd June at 8pm in St. Saviour’s Church Hall sees Gillian Ellis of the Bournville Village Trust presenting ‘Selly Manor and Bournville’. Bournville Village Trust is probably unique among housing associations in owning and managing a museum, housed in a 15th century timber-framed building in the village centre of Bournville. Selly Manor Museum is run by Heritage Manager, Gillian Ellis. Over seven years, she has shown remarkable leadership and dedication in transforming the museum into a thriving and successful community-based educational resource. Visitor numbers are around 14,000 per year.